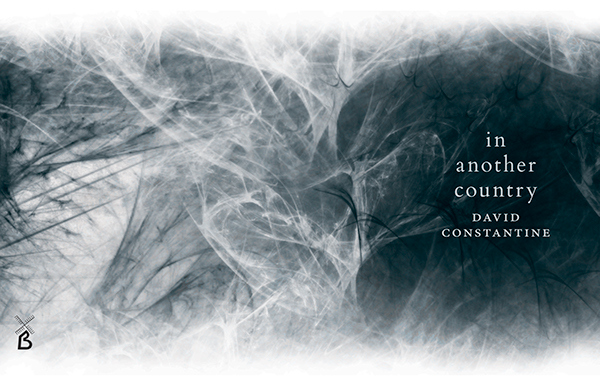 In Another Country is a collection of short stories by the under-rated English writer, David Constantine, who won the 2013 Frank O’Connor International Short Story Award for his wryly comic tale of the disintegration of a middle-aged relationship, Tea at the Midland. Constantine, better known as a poet, came to the attention of a wider public for his exquisite and moving fiction when, in 2015, one of his stories inspired the hugely successful film “45 Years” starring Tom Courtney and Charlotte Rampling (Oscar nominated for her role). Constantine’s stories all capture moments of emotional clarity, the split-second when life changes and when his protagonists realise that they have moved forward into a new reality, that things can never be the same again. Rich in symbolism – Tea at the Midland begins “The wind blew steadily hard with frequent surges of greater ferocity that shook the vast plate glass behind which a woman and a man were having tea”, anticipating the difficult conversation to follow – his stories are often both poignant and bleakly funny. In The Loss, a successful businessman detects the exact moment, in the middle of a Power Point presentation, that his soul dies and leaves his body. Afterwards, seeming to have acquired the ability to identify men who have suffered the same fate, he nods sadly to them in hotel elevators, hallways and airports, acknowledging a shared affliction. Lou, a young woman in The Cave, struggles to understand why Owen, a man who seems to love her, refuses to have any physical contact with her and it is only after they explore an archaeological site that some kind of resolution is reached. The classical allusions in some of the stories are obvious. In Goat a disgraced clergyman falls under the spell of a tramp and his penny whistle in a subversive celebration of the story of Pan, leading to a pantheistic renunciation of the cleric’s calling. The Necessary Strength is a brooding, almost hallucinatory tale of a dying woman who is emotionally renewed by the appearance of a mysterious white horse. Constantine is the author of several books of poetry and his remarkable control of language is obvious in these stories. They are beautifully read here by Juliet Stevenson and Derek Jacobi who capture perfectly the elegance and subtlety of the writing. In Another Country is available from audible.co.uk and lasts 11h48.